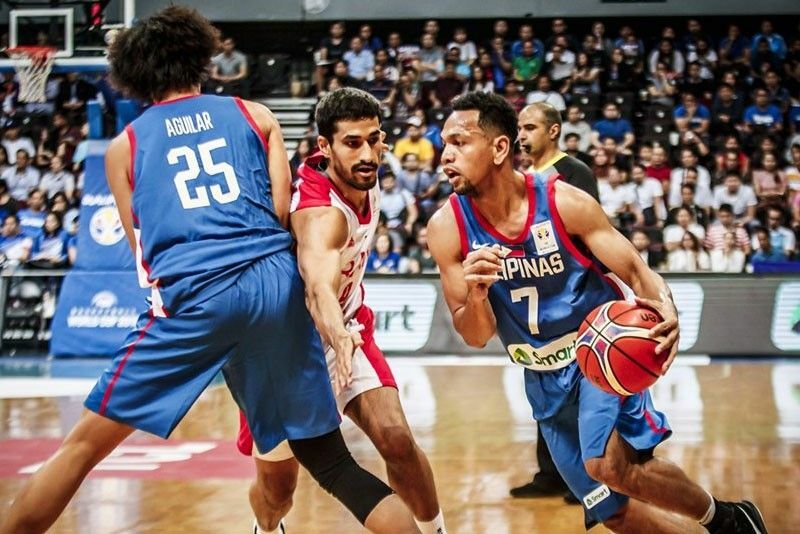 MANILA, Philippines — Gilas Pilipinas is bracing for war in the final window of the FIBA World Cup especially as Kazakhstan strengthened its lineup with its enlistment of new naturalized player Anthony Clemmons. Jayson Castro, Mark Barroca and Paul Lee are tasked to hold their own against Clemmons, a 6-foot-2 guard presented a Kazakh passport just last December. With their old lineup, the Steppe Wolves relied on a wondrous outside shooting to stun Gilas, 92-88, in their previous tiff at the MOA Arena in Nov. 30. Still with an outside chance to make the World Cup for the first time ever, the Kazakh federation worked on the naturalization of Clemmons that they achieved on the eve of Kazakhstan’s Independence Day last Dec. 13. Like the Filipinos, the Kazakhs are determined to make a strong showing in the final FIBAWC window for a possible crack at the 2019 world joust in China. Australia (9-1) and Iran (7-3) are two teams that have secured WC berths in Group F. Leading the fight for the last outright WC spot from the group is Japan at 6-4 closely followed by the Philippines at 5-5, then Kazakhstan at 4-6. Japan’s last two games are Iran and Qatar both away from home. Gilas Pilipinas will also be away from home versus Qatar on Feb. 21 in Doha, then Kazakhstan on Feb. 24 in Astana. Kazakhstan hosts Australia before taking on the Philippines. The Nationals have ramped up their buildup as they started last night their daily practices at the Meralco Gym. Coach Yeng Guiao and his pool, however, will be without Andray Blatche until they set up their camp in Doha on Saturday. Blatche was to leave yesterday for China where he plays two games for the Tianjin team tomorrow and on Friday. The Kazakhs, meanwhile, are now in deep training with Clemmons, a former Iowa Hawkeye in the US college ball who instantly made an impact in the Kazakh league with the Astana ball club. Emerging as the second best scorer behind Alexei Swed of BC Khimki, Clemmons was rewarded a three-year contract extension. And he could be a fixture in Kazakhstan as the country’s naturalized player. Kazakhstan has no problem with ceiling with its tall players led by Alexander Zhigulin and Anton Bykov. Zhigulin sizzled with six three-pointers and a total of 31 points while Bykov put in 24 markers and nine boards in leading the Steppe Wolves over Gilas in their initial faceoff.